Fly ash and bottom ash is produced as a by-product of the coal fired energy industry. 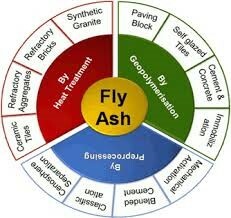 Owing to the unique physical properties, the fairly consistent chemical and mineral components from a given power station, and the sufficient quantities typically available, there is a growing market for using fly ash and bottom ashes in the engineering and construction industries, for cement and concrete production, although other uses are constantly being researched and developed. Contact one of our scientists at Sci-Ba to discuss your projects, whether it is testing flyash and bottom ashes for waste classification, or to determine its use in concrete, civil engineering projects, brick, tile and ceramic manufacturing or other new emerging uses, this sector offers an exciting and rapidly expanding market! We aim to provide the best possible testing services with R&D support from our chemists, mineralogists and environmental scientists!